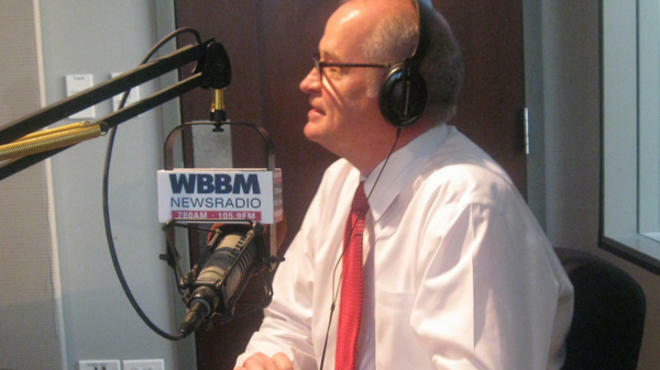 In a year of declining revenue across the board, CBS Radio’s all-news simulcast of WBBM-AM (780) and WCFS-FM (105.9) was Chicago’s top-billing station once again. The Newsradio combo led the market in 2012 with total advertising income of $45.7 million — more than $10 million ahead of runner-up Hubbard Radio hot adult-contemporary WTMX-FM (101.9) with $34.1 million. WBBM/WCFS was down from $48.8 million, while WTMX was down from $34.5 million in 2011. Third-place WGN-AM (720), the news/talk radio flagship of Tribune Co., which just emerged from four years in bankruptcy, declined from $34.1 million to $30.2 million. Overall Chicago radio revenue dropped about 2 percent from $439,744,000 in 2011 to $430,911,000 in 2012, according to figures compiled by the accounting firm of Miller, Kaplan, Arase & Co., and based on revenue reports submitted by station groups. Although WBBM/WCFS stood to benefit from political advertising in an election year, its bottom line may have been affected by the broadcast of three fewer Bears games in 2012 than in 2011. Nevertheless, the CBS Radio seven-station cluster was the only group to increase revenue overall — about 1 percent — with year-to-year gains at contemporary hit WBBM-FM (96.3), sports/talk WSCR-AM (670) and adult rock WXRT-FM (93.1). "CBS Radio Chicago continued to grow in 2012 as a result of our customer focus and on-air, on-site, on-line and on-mobile media assets that drive results for those valued customers," Rod Zimmerman, senior vice president and market manager of CBS Radio Chicago, told me in an email exchange this week. Among the only other individual stations to post a significant increase was Clear Channel contemporary hit WKSC-FM (103.5), which grew from $15.6 million to $21.2 million.